1st hour. Today was a special show to all of us directly involved and hopefully to the listeners. Paul was with us from England, as he will be on Wednesdays from here out, as well as one of the best students of this material I have ever had Brian Howard. Brian has a show on PPN on Thursday afternoons. Brian gave us a detailed background of his experiences with the information starting with his initial episode in Idaho attempting to obtain a "non resident' state issued drivers license. That in itself is a fascinating history. He then went into his more recent experience attempting to obtain much more specific information on the exact mechanics of the Birth Certificate and the exact process that the procudtion of that document. It is an involved story but illustrates perfectly, actually 'proves' my thesis of my book and John Benson's multi decade reserach findings. Those being that we are under the feudal system disguised under the 14th Amendment. The fact that 'if' your parents were in the condition of "voluntary servitude" then you are 'born' into the same condition as property of the Lord of the Manor. Brian's finding absolutely PROVE that thesis. We will have more shows as our understanding of this progresses and we work our way to a universal solution. Listening on 26 December 2018, & RadioRanch is always enjoyable to reflect on in status independence. 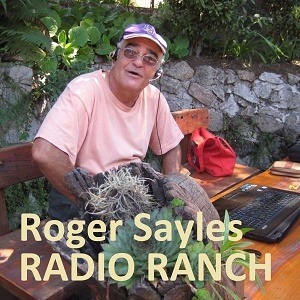 Thank you Rodger Sayles. outstanding show, i am looking forward to the calk board lessons. (note no capital letters) LOL! RR_20190422-Legal Points, Michael, Substantive Law, Heaven s Residency, Tedd, Good DiscussionMonday Legal Discussion1st & 2nd hoursShow started w/my telling why we were not able to do a Friday show last week. New student Michael had called right before the show so we started off by trying to explain why his Affidavit should be sent to the U.S. Secretary of State as opposed to the California Secretary of State. Starting with those principles led Daryl to join us to expound on some of my thoughts and explanations.Really the show took off on that path from there. Untill listener Ted called asking about his continuing saga with local authorities trying to 'force' him onto the new city sewage system. Good overall discussion show for 'basics' today. RR_20190417-Gen Discussion, Notre Dame, Corey New Guy, Doug, Shane Jack Ecuador Discussion1st & 2nd hour: General Discussion1st hour we talked about what certainly appears to be a 'false flag' in Paris and the torching of Notre Dame. Some very suspicios activity surrounding that incident, time will tell. Talked about one of our 'new guys' in our local ExPat group here. Emphasizing the new member I found out yesterday is a 20 year retiree from the U.S. Department of State who is extremely interested in my work. We'll schedule Corey on one day next week and see if things 'feel right'. His role can be easi;ly expanded, especially with his personal expertise being the "Middle East".Jack joined us in the 2nd hour and we talked a good bit about Ecuador and all that this lovely country has to offer. Wednesday w/Paul1st & 2nd hourThere was some interference in today's show causing a 'choppy' signal at times.Paul and I started out with a question I'd seen in a ZeroHedge article this morning asking is the Basil III rules conincided w/BREXIT's exit date?Spirited conversation from that point on. Daryl related his experiences w/a black fellow in Milwaukee last week. Doug joined is as well as Bob from S. Florida. Brent Winters Friday1st & 2nd hoursBrent opened the show discussion a case from Illinois that has now gone to the Illinois Supreme Court concerning a woman's 2nd amendment Rights as transferred under the 14th Amendment narrowly in the area of 'self defense'. Interesting case & argument.I brought up a recent 8th Amendment case decided by the U.S. Supreme Court as well as two other examples of where the liberal legislation is caving in on them. The 'snake eating it's tail' so to speak.Finished off the show entertaining question put to Brent from newer particpant Samuel. Questions From Samuel1st & 2nd hourA student who heard me years ago on Joyce Riley's Power Hour, went through some personal 'hard times' at the hands of our traditional enemies and has found us again had Affidavit questions.Samuel's personal story was instructive and hopefully we covered/answered all his questions and gave him some additional insight to help him in this filing.Great basics conversation. Chris, Doug and others joined in w/Samuel and my discussion. General Mostly legal/Lawful Discussion1st & 2nd HourStarted talking a bit about Karatbars, their KBC coin and the meeting this past weekend in Dubai. Some of the estimated projections for the coin and gold in general coming out of that are rather spectacular.We drifted off on an in depth discussion of legal terms and concepts. "Resident" and "Person" were probably the main two critical words. Good discussion. Friday's with Brent1st & 2nd hourJust an all over the place discussion today with much of it in stories or examples. Talked about Jackson Hole, Wyoming, Jerry Spence, hypocrites, how Sabatteanism has been morphed into modern day Zionism. Good gropu of participants, Chris, Bob, Doug, DP Gatton and an exciting opportunity call at the very end of the show from Stephanie in S. Dakota.